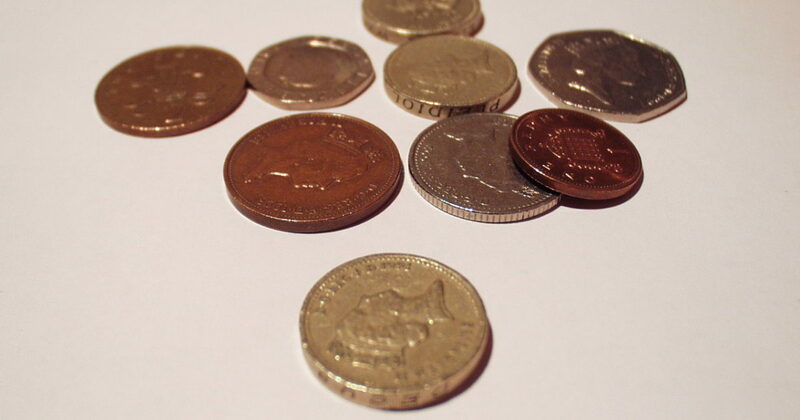 The main release in the UK this week will be the services PMI for March, due out on Wednesday at 09:30 GMT. However, politics will probably eclipse economics in driving the British currency. On that front, Parliament could hold another round of votes on Wednesday, and PM May is reportedly preparing to put her deal for the fourth vote on Thursday. In the bigger picture, a longer Brexit extension is looking increasingly likely, an outcome which could bring some relief to the pound next week. There is no shortage of volatility in the British pound, which continues to be driven almost exclusively by political developments, paying little attention to economic news. This is natural considering that most of the economic issues the UK now faces, such as declining business investment, are owed mainly to the uncertainty emanating from the political arena and thus are unlikely to be resolved until that uncertainty subsides. 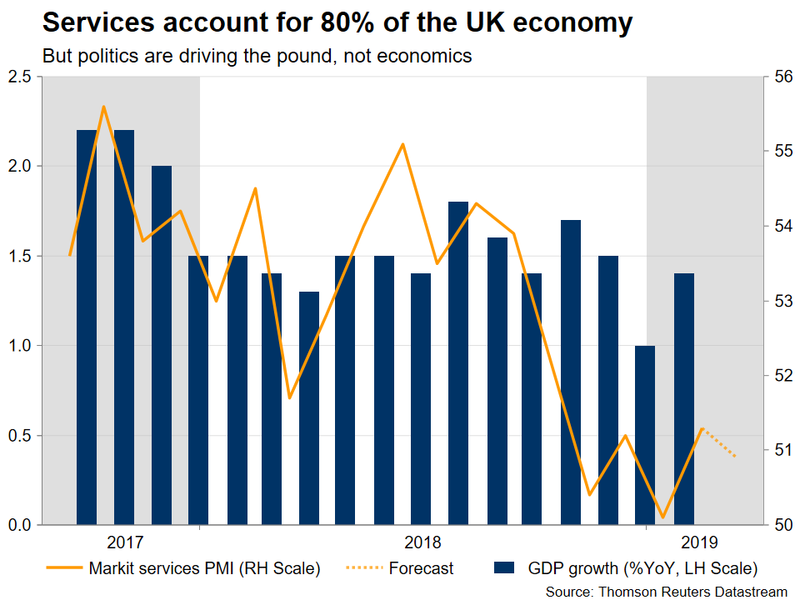 As such, investors will pay some attention to the services PMI for March, since services account for 80% of UK GDP, but the bulk of their focus will remain on Brexit. The services index is forecast to have declined slightly to 50.9, from 51.3 in February, but is still expected to remain above the crucial 50 line that separates expansion from contraction. Such a print is unlikely to prove a game-changer for the pound, as it would merely confirm that the UK’s biggest sector continues to struggle. What could prove pivotal though, is how the Brexit saga unfolds. Another round of indicative votes in Parliament may take place on Wednesday in an attempt to find a way forward, while Prime Minister May could put her three-times defeated deal back to lawmakers on Thursday. So far, Parliament has been unable to find any majority. The most closely contested vote (276-273) was on establishing ‘a permanent customs union’ with the EU, which would solve the Irish border issue, but leave the UK unable to strike its own trade deals with other countries. As for May’s deal, even though it was voted down multiple times, it’s worth noting that the margin of rejection was slimmer with each subsequent vote. In fact, May lost the latest vote by 344-286, which means that if she manages to flip just 29 lawmakers she can finally get her agreement approved. That is no easy task, especially since the deal hasn’t changed since the last time, but it is definitely possible. Either of these two outcomes, namely MPs eventually voting for a customs union or May’s deal, would likely prove positive for sterling. Another round of rejections could weigh on the currency, albeit not massively, as that is probably the market’s base-case scenario already. In the big picture, a long extension to Brexit – of at least 9 months – is looking more and more likely. Yes, leaving on April 12 without a deal is still the default unless something changes, but that will almost certainly be avoided when push comes to shove. Parliament has repeatedly shown it has no appetite for leaving with no deal, and reports suggest that several Cabinet ministers would also resign if May attempted to take that painful route. Therefore, the PM’s only realistic options if her deal is defeated again are either calling a General Election or asking for a long extension at the special EU summit on April 10. 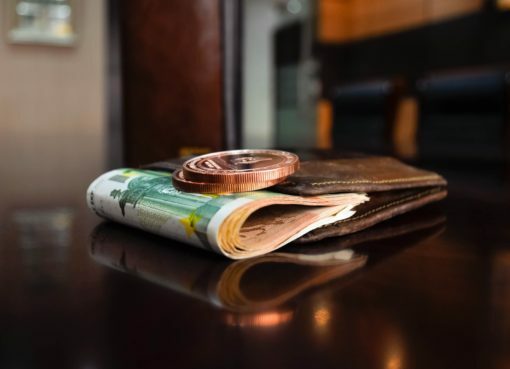 A prolonged extension would likely benefit sterling as it could fuel hopes for another referendum along the way or a softer version of Brexit ultimately being negotiated. Blending it all together, the scales currently seem tilted towards a favorable Brexit outcome: lawmakers either approving May’s deal or the UK asking for a long extension. 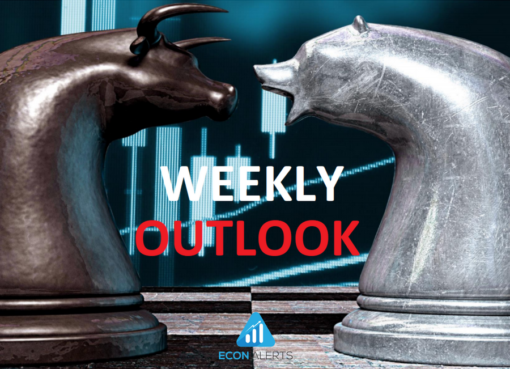 While that suggests that the eventual destination for the pound is probably higher, some further weakness in the immediate term cannot be ruled out as we approach April 10, if Parliament rejects all options in front of it again this week. 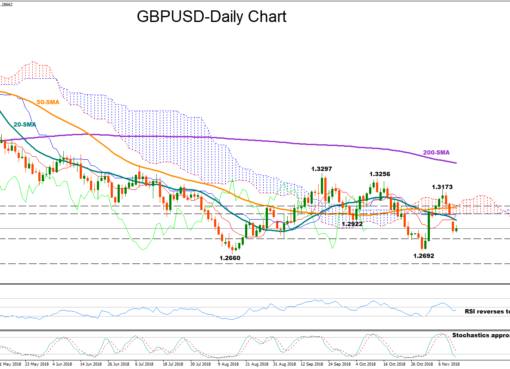 Taking a technical look at GBP/USD, immediate support to declines may be found near 1.2975, the March 29 low, before the February trough of 1.2770 comes into view. On the flipside, advances could stall around 1.3270, with an upside break opening the way for a test of the 1.3380 area.